The Performing Arts develop self-expression and teaches students how to express themselves effectively. Students learn how communicate creatively, at the same time building their confidence. Each year, our Performing Arts department, together with the Music department, stage a major production involving students from Year 7, 8, 9 and 10 – for example, this year it will be ‘Mary Poppins’. Now in its second year, The Prenton Theatre Company meets weekly after school to bring together students who are enthusiastic about drama, singing, playing instruments, or dancing. 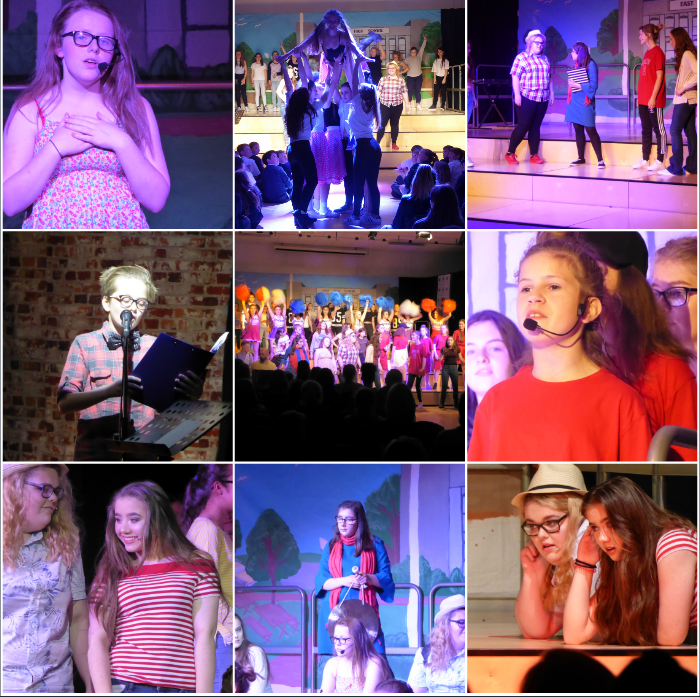 They work hard to deliver shows that entertain audiences of parents, carers, families and friends, as well as their peers, over three evenings each summer term. These productions have been always been impressive with new talent emerging every year. In their first years at Prenton, students follow three disciplines: dance, drama and music. Each of these are built around the ethos of fostering an awareness of confidence, team-work and theatricality. The aim is to develop skills in all areas of performing arts. During dance lessons student learn about different genres and compositional skills; students enjoy experiencing dance from different cultures and countries. The opportunity to build skills in co-operation and understand the traits that underpin a dramatic performance, are harnessed in drama lessons. In both Performing Arts and Music, students learn about their voice and how to perform both in groups and individually. Students may choose Performing Arts at the end of Year 9 as a GCSE option. Those girls who select the subject participate in many projects and continue to develop and embed the skills already learned. Unit 1: Unlocking creativity—This unit assessed the theoretical content of the learner’s chosen discipline (performance or production). Unit 2: The production/performance—This unit provides the opportunity for learners to be assessed on the theoretical content of a holistic production or performance, both as an individual and as a member of a group. A key performance or production role in a performance based on one of five performance briefs. answers, extended responses, design/devising on the performing arts industry and performing arts. In addition to a Drama Studio complete with racked seating and theatrical lighting for performances, lessons take place in the Main Hall where classes meet to share performances. The Hall has a three-tier portable staging, a state-of-the-art sound system and a lighting rig and desk – there are eight radio microphones and a 32 track digital sound desk to support performances. Students also have use of the outstanding facilities in the music suite, equipped with private practice rooms and specialist, ICT and Apple Mac facilities loaded with the latest software.